2018/10/26 - New version 1.666 released! 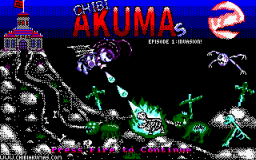 Chibiko isn't the best choice for the 'hero' of a game... in the last year she's been killed by God, banished from hell, and reincarnated as the enemy of all mankind! But, she's not going to let any of that get her down!... in fact, the only problem she has right now is the strange monsters that have been lurking around the mountains lately - and now they are infesting HER castle! 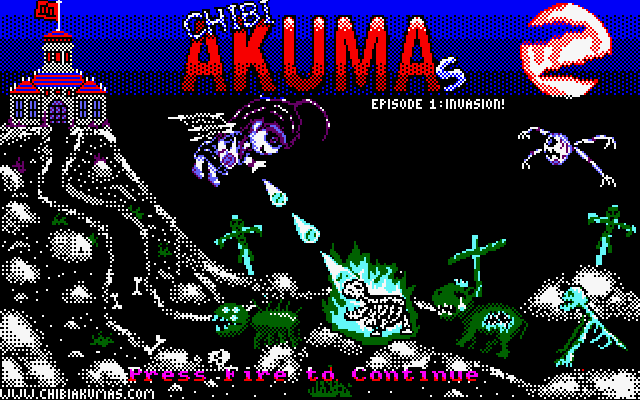 Join Chibiko in her unholy battle against the invasion of badly drawn, cliche and generally uninspired enemies, pummel your way through 4 levels of brainless firepower crazy action - and unleash hell on the 4 end level boss enemies! This game is satire, it contains religious references, 'graphic' 4 color violence, bad language and general bad behaviour - This game should not be played by those under 15, or people who cannot differentiate between acceptable behaviour in fiction and reality. I do not endorse any of the actions portrayed in this game - it's just a silly bit of fun. If you think this game may offend you - it probably will - please play something else! 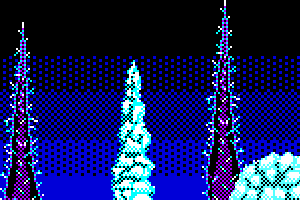 If you want to support me making more 8-bit games, please consider backing me on Patreon. Want to learn about retro gamedev? Check out my Assembly Programming tutorials on Youtube! Level 4 - Going Down?